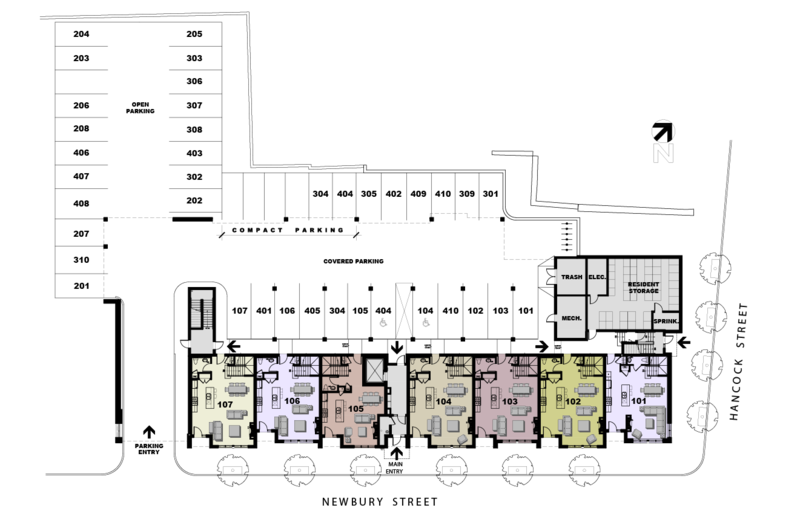 Our first floor units are primarily Townhouses. Click on a condominium unit to view a larger closeup of the floor plan and unit details. 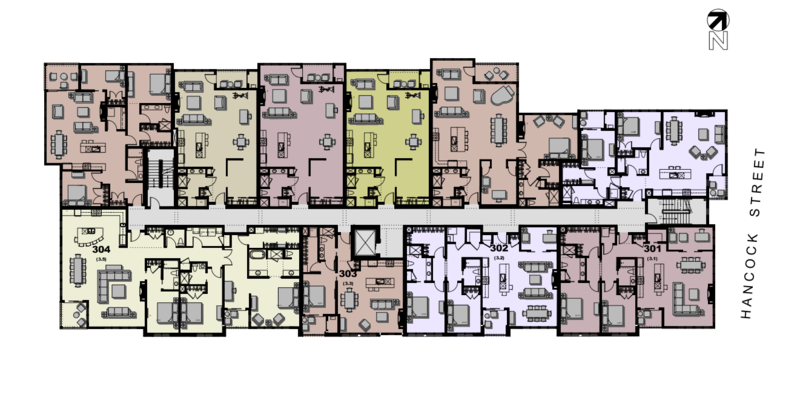 Our second floor units include sections from the first floor townhouses. Click on a condominium unit to view a larger closeup of the floor plan and unit details. 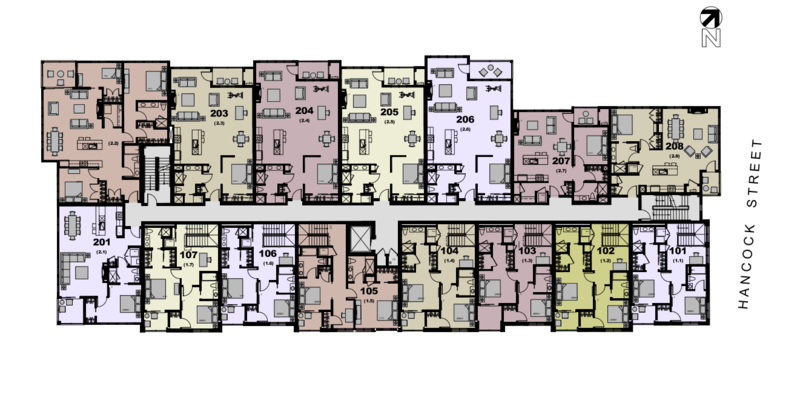 Our third floor units include two three bedroom and three two bedroom condominiums. Click on a condominium unit to view a larger closeup of the floor plan and unit details. 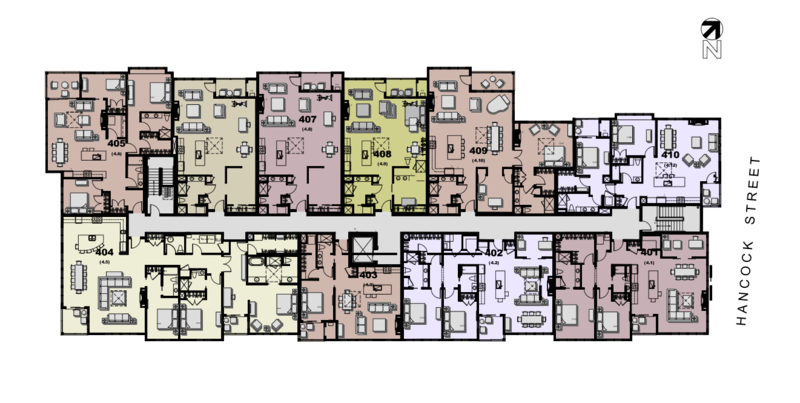 Our fourth floor units include two three bedroom and three two bedroom condominiums. Click on a condominium unit to view a larger closeup of the floor plan and unit details.